I thank the Leader of the House for the statement. I, too, congratulate the Youth Parliament; it was absolutely wonderful to hear its members debate the issues rather than people. I thank the Leader of the House for the forthcoming business—again, it is a week and a day, and we do not seem to be any nearer getting the dates for Easter recess. The staff of the House need to make plans. I know that there have been many more things to discuss and that it has been difficult to get those dates, but could she possibly look at doing so for next week? It was a marathon session of the Cabinet yesterday. I wonder whether they all started with, “I hadn’t quite understood the importance of” the Dover-Calais border/the economy/jobs/security/the effect on science—delete where applicable for each of the Secretaries of State when they read the draft agreement. We have had the statement, but could the Leader of the House outline the timetable for the next stage? The Prime Minister alluded to the fact that the House will get a debate; will it be before or after Christmas? When are we likely to be able to scrutinise this very important agreement, given that the EU will be meeting on 25 November? On Tuesday, the House resolved that the legal advice from the Law Officers would be made available. Will the Leader of the House say when it will be published? Why did it take the Chair of the Environmental Audit Committee, my hon. Friend the Member for Wakefield (Mary Creagh), to publish a letter from the Environment Secretary saying that he was raiding 400 staff from other agencies to work on Brexit? When will we get a statement and the impact assessment on the effect of enforcing the regulations that deal with recycling, air pollution and flooding? However, that was in a wider statement on prevention of ill health, and no notice was given to the Opposition. My hon. Friend the Member for Worsley and Eccles South (Barbara Keeley) made a point of order to ask the Secretary of State to come to the House to make a statement on that review. As she said, this is scandalous. Could we have a statement on this important review, including the timeframe for reporting back? No child should be deprived of their liberty in this way. They need support, not imprisonment. More disarray: I was going to say that the Government have lost one Minister—the hon. Member for Chatham and Aylesford (Tracey Crouch)—but actually it is half the Cabinet. A week later, the Government have done what she asked; a written statement was slipped out yesterday. My hon. 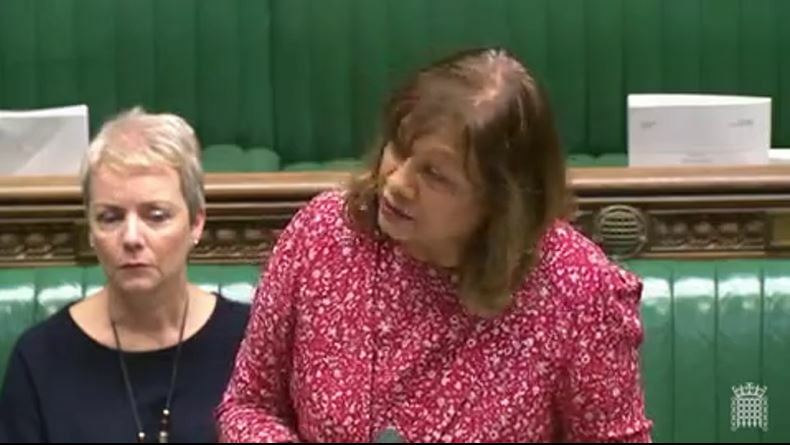 Friend the Member for Swansea East (Carolyn Harris) and others have campaigned for this change, and the Minister will have had to give weight to relevant or irrelevant considerations, so this is not about losing money to the Exchequer, but about saving lives. Yet another fall-out from the referendum is the number of statutory instruments—800 to 1,000. I am pleased to say that Parliament staff have worked on an SI tracker, which is now available, so I thank them for doing that. We can filter it by European Union SIs, but not by when they are going to be laid, so we have absolutely no idea of when the SIs will come to be scrutinised. We need to know that to give them effective scrutiny. Perhaps some sort of category such as “SIs on hold” or “Waiting to be laid” might be quite useful for Members. It has been announced that a memorial to PC Keith Palmer near Carriage Gates has been agreed with his family. The Police Memorial Trust said that the memorial ​would be a reminder of PC Palmer’s sacrifice and heroism. We need our police officers in the House; they provide valuable back-up to other House staff, such as the Doorkeepers and those around the Estate. We need them, and we thank them for their work. My right hon. Friend the Member for Wolverhampton South East (Mr McFadden) had a debate yesterday on police pensions. In the west midlands, the changes will cost about £22 million—that is what the west midlands force will have to deal with. That is putting a huge amount of pressure on police forces. The Home Secretary and the Chancellor should come up with a solution now, as the Minister for Policing and the Fire Service alluded to yesterday. Could we have statement to the House on that? It would be a fitting recognition of our police service. Mr Speaker, yesterday you read out a great letter from our Clerk. I know that there is time until his retirement for tributes to him, but we appreciate the sentiments that he expressed in his resignation letter and thank him for his guidance and expertise in his 43 years of service. He will be missed. Finally, I want to add my own good wishes to His Royal Highness the Prince of Wales on his 70th birthday, as I did not have a chance to do so yesterday. I do not know whether Members are aware of one of the facts about him, which is that every time he plants a tree, he gives it a little shake for good luck. I wonder whether the Prime Minister did the same to her Cabinet yesterday. I shall certainly remember to do it when planting trees for the Queen’s Commonwealth canopy. His Royal Highness is a great innovator. He highlighted organic farming many years ago, before it was fashionable, and as his mum—our Gracious Sovereign— said, he is a true Duchy Original. I wish him a belated penblwydd hapus.